My first morning in San Francisco, I shared a Lyft with Tracy Baldwin, CEO of RokketMed, a startup working on transparent pricing for medical services. She was on her way to the airport, en route to a prospective client meeting in LA. I was on my way to meet up with the rest of the Adams Apprenticeship group at their hotel, which happened to be on the way to the airport. Before I had even finished my morning hot chocolate, I was talking startups with a complete stranger. What a welcome to San Francisco, the land of startups and where the future is made. 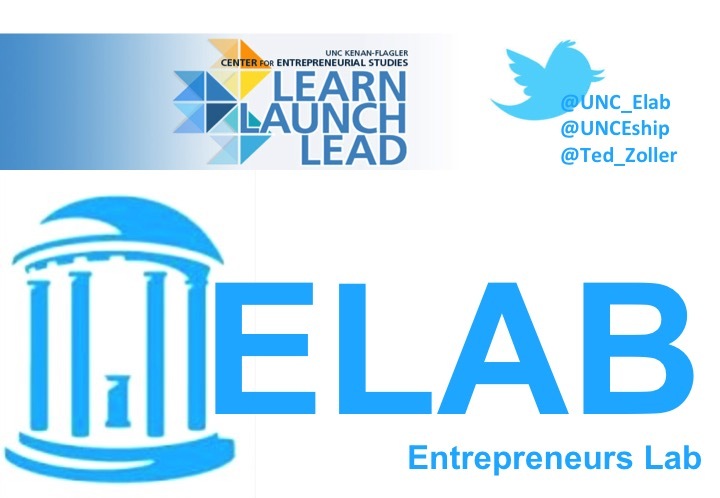 Professor Ted Zoller wrapped up the highly regarded "Entrepreneurs Lab" this week for UNC undergrads and grad students. This interactive course invited some of UNC's top entrepreneurs back to campus to participate in the course, which included "grand challenges" and top business books. Participation in this course was mandatory for Adams apprentices. Guest speakers include Kel Landis, Nick Jordan, Bill Starling, Brad McGinity and Matt Williamson, David Jones, Amit Singh, Todd Pope, Sean O'Leary and Diana Kander.